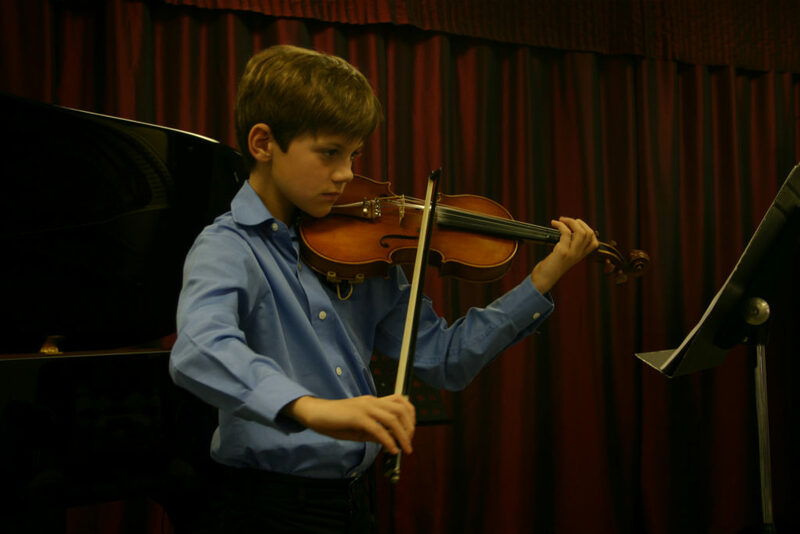 What if teaching young beginners violin could be simple, easy, and enjoyable? The Kaleidoscopes curriculum takes Suzuki principles and integrates them with powerful insights from Rolland, Kodaly and Montessori. The result is a simple and powerful system that will help your beginners to make music from day one, love learning violin, and allow you be a more effective teacher with less effort. Join us for training on this groundbreaking violin method in Austin, Texas on June 26-28. Your students will get to make music from the very first lesson ... while still developing excellent violin technique. They can play three or four familiar songs, at home, FROM DAY ONE. Their parents will be excited to have real results from the beginning, and these results will allow the child and parents to place full trust in you and your teaching from the beginning. You will get a complete pre-Twinkle sequence that prepares young children for the motions of playing violin. These MOVEMENT BUILDING BLOCKS are performed not to abstract rhythm patterns, but to real songs with real lyrics that the child will eventually play on the violin. As a result, the movement activities enable the child to deeply experience their violin repertoire before encountering it on the violin. Your beginning students (even as young as 4 years old) will get to learn and master a new song every few weeks. Kaleidoscopes presents skills ONE AT A TIME to allow for superior mastery and accelerated learning. This translates into a sense of accomplishment and a confidence. Students will be more excited to practice (and do more of it) because the connection between practicing and progress is already self-evident. You will get a complete literacy sequence that allows your students to become fluent reading music during their first year of study. Kaleidoscopes uses a Kodaly-based curriculum to introduce literacy in a natural way, so your youngest students may actually be as fluent reading music as they are reading words. The curriculum is based on MOVEMENT & SINGING ... so you don't have to give up a single bit of ear training or beautiful posture. You will get a complete repertoire of songs that are delightful to sing, that also cover all your teaching points for beginning violin. Your students SING EVERY SONG before playing it on the violin ... so their first experience with their violin repertoire will using the instrument they are already most comfortable and familiar with ... their voice. This makes it very easy to talk about rhythm, phrasing and intonation ... because the students are matching the sound on their violin to their own singing. You will discover how to sequence students’ early training so that your typical student is performing Bruch concertos at a pre-college level by middle school. There are many elements that contribute to the success of a master teacher – including excellent setup, practice parents, repertoire, musical expression, and an in-depth knowledge of child development. Getting all the right ingredients in place during the first year creates a TEMPLATE FOR EXCELLENCE for the child and their family. The 3-day workshop comprises 24 classroom hours of high-level training, including unique insights arising original research and experience over nearly two decades. Tuition and other details are provided further down this page. The workshop will be held at a central location in Austin. Details will be provided upon registration. … as well as going into detail on topics relating to teaching young children, including temperament, attention span & motivation, communication, and brain development & physical coordination. For more information about the Kaleidoscopes curriculum, visit www.discoverviolin.org. Elise Winters holds an B.A. from Rice University and M.S.S.W. from the University of Texas, with coursework in violin performance, psychology, linguistics, neurolinguistics, cognitive neuroscience, and cognition. She has completed her 3-year Kodaly training at Indiana University Jacobs School of Music, and has completed the Music Together training. A former student of Ronda Cole, her Suzuki teacher trainers include Ronda Cole, Judy Bossuat-Gallic, Cathy Lee, and Marilyn O’Boyle. She has performed as a member of the Austin Symphony, Austin Lyric Opera, and the Grammy Award-winning Conspirare choir, and as guest concertmistress of La Follia Austin Baroque. She is a published author with Oxford University Press, and served as Associate Education Director of CHAMPS (Chamber Music in Public Schools) for two years. The American String Teachers Association (ASTA) featured Elise Winters as a presenter at their national conference: “Spoonful of Sugar: Games & Activities that Make Practicing Fun” (2013) and “From the Sandbox to Schradieck: Achieving Excellence with Very Young Students” (2015), and "Guiding the Brain: Psychological Tools for Technical Mastery and Musical Expression" (2017). 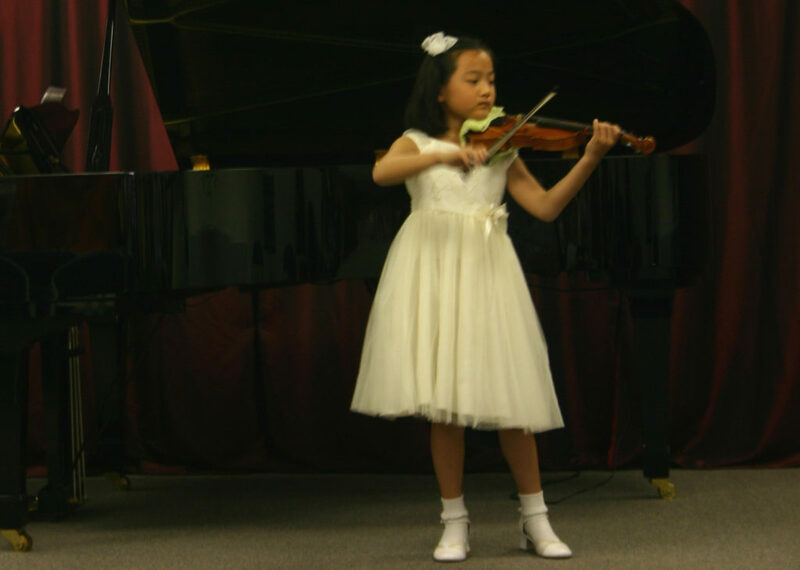 Her students and former students have won 1st, 2nd and 3rd place in the Austin Asian American Competition, Honorable Mention in the TMTA Texas State Competition, Austin Solo & Ensemble Best in Class, the Poindexter Scholarship at Luzerne Music Festival, Semifianlist in Georgetown "America's Got Talent," Concertmaster of Kealing Academy Honors Orchestra and various other orchestras, and other honors. They have gone on to music schools including Butler School of Music at University of Texas, University of North Texas, Boston Conservatory, New England Conservatory, and the Yale School of Music. “An intellectual as well as an artist, Ms. Winters has made a major contribution to the field of violin pedagogy. 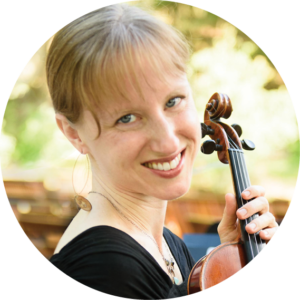 Integrating her knowledge of psychology, education, kinesiology, and music, Ms. Winters takes the best of all the major schools of violin pedagogy and adds her unique methods. I wish Ms. Winters had been my pedagogy professor in college or grad school. If I were seeking a degree in pedagogy, I would certainly study under her." I am used to the Suzuki repertoire. Can I use the Kaleidoscopes materials alongside the Suzuki pieces? Many Suzuki teachers discover that Kaleidoscopes makes an excellent preparation to Suzuki Book 1. A student who has completed Kaleidoscopes Book 1 will move quickly through Suzuki Book 1, and their strong foundation in note-reading and music theory will allow them to continue making significantly faster progress in Suzuki Books 2-10 compared to a student with a typical Suzuki background. If you are not familiar with Kaleidoscopes, you can find details about the curriculum, including recordings of all of the Book 1 songs, on the Kaleidoscopes website, www.discoverviolin.org. I already have a significant amount of Suzuki training. Will this Kaleidoscopes training be redundant with what I already know? Kaleidoscopes has Suzuki principles at its heart; so concepts such as parent involvement and daily listening will be familiar. However, the curriculum itself is unique, so even the same concepts will be applied a little differently. One Suzuki teacher with training through Book 10 found the course so valuable she expressed interest in attending a second time as a reviewer. If you are an experienced Suzuki teacher, you will be able to reflect upon concepts with greater discernment than someone who has not taught before, and your background will allow you to be “up to speed” using the materials faster than someone for whom teaching violin is a completely new challenge. I haven’t ever taught young students, and I’m not sure if I’m that “kind” of teacher. Teaching young children does not have to be difficult; young children deeply desire to make beautiful music and move their bodies skillfully. The Kaleidoscopes Book 1 workshop will provide you with a much easier set of tools that will make teaching very young students seem much more approachable. I grew up in the European system with fixed do. Why teach movable do when fixed do is so much more straightforward? Movable do is simply the most powerful way to illuminate the relationships among notes in a key. Singing the scale degrees (one, five, etc.) is not musically beautiful, and alphabetic names change from key to key, obscuring melodic and tonal patterns which are consistent from key to key. While fixed do is convenient for singing passages rapidly, the ability to understand music theory is a vastly more powerful tool. Perfect pitch can be nurtured and trained inside either system, and children find movable do to be very natural and intuitive. Many musicians who grew up with fixed do say they cannot imagine getting used to movable do. However, the process of immersing yourself in this tonal naming system will allow you to discover fascinating patterns in the music you have never previously been aware of. I have never used movable do solfége; I’m worried about feeling behind. Most violinists do not have a strong background in movable do solfége, unless they have also spent a lot of time singing in choir. You will learn movable do the same way your young students learn … by singing the songs, listening to the recording, getting to know the easiest songs very well, and gradually progressing to more complex ones. All of the Book 1 songs are relatively easy, and your musical background and knowledge will allow you to pick up movable do very quickly. I would like to take the course, but I’m not sure now is the right time. Families of Kaleidoscopes students say that they notice a big difference in their child’s motivation and practicing compared to other students. They say their child loves the diverse songs, being able to play more than one song at a time, progressing more quickly, and being able to flexibly choose their next piece rather than being confined within a linear repertoire sequence. As a teacher, you will notice an immediate difference in not just your students’ happiness, but in your own! Having excited, motivated students and a more diverse and expressive repertoire to teach are inherently satisfying. The sooner you begin implementing these tools and perspectives in your teaching, the sooner your students will benefit. If you have a question that is not answered here, please contact elise@discoverviolin.org. The course is just $325 when you register by May 1. Full tuition is $375. “I’ve been a Suzuki teacher for over 30 years. The Kaleidoscopes series has introduced a new level of musicianship into my studio. Since adding the Kaleidoscope Book 1 at the very beginning my students have become more well rounded musicians more quickly." Are you a student? We know that you’re spending time practicing and studying and are not yet earning a full-time income. However, we want you to have this training when it will be most valuable to you … which is right now, as you begin your first few years of teaching. For this reason, we are offering the special student rate of $125 if you register by May 1. Even at this discounted rate you will still get all of the bonuses. Are you a Suzuki teacher? We appreciate your dedication to nurturing and sharing the Suzuki tradition. We offer a $45 discount for Suzuki Association (SAA) members. Traveling from outside of Austin? In appreciation of your dedication to your professional development, we are offering a $100 discount to teachers who live 100+ miles from Austin. This discount cannot be combined with the SAA discount, however, need-based scholarships are available for out-of-state participants. Get in touch with Eve at orders@discoverviolin.org to request a scholarship. "What I love about Kaleidoscopes and the training is that a lot of focus was put on the language and mind of young students. Suzuki is always a go-to when it comes to early violin playing, but the Pre-Twinkle ideas and exercises make Kaleidoscopes the new go-to!" "I just want to say what an incredible experience your workshop has been. Your materials are so well crafted in every way I know our teachers and students will benefit from them for many years to come." "I am an elementary general music teacher and fiddler, and have taught three different after school fiddle clubs for the last 20 years. I LOVE this method of violin instruction." "The Kaleidoscopes Book 1 training gave me confidence in starting beginners and inspired and revamped my sense of joy and creativity in lesson planning." If after going through the course you feel that the training you received was not valuable and useful to you as a teacher, we will gladly refund your entire tuition cost ... and you can keep all of your course materials as our gift to you. We look forward to your registration, and hope to see you in June!